Originally developed as a way to move troops through the Alps during wartime, a Via Ferrata experience allow you to scale a cliff face using a system of ladders, rungs and cables with no prior climbing experience necessary. 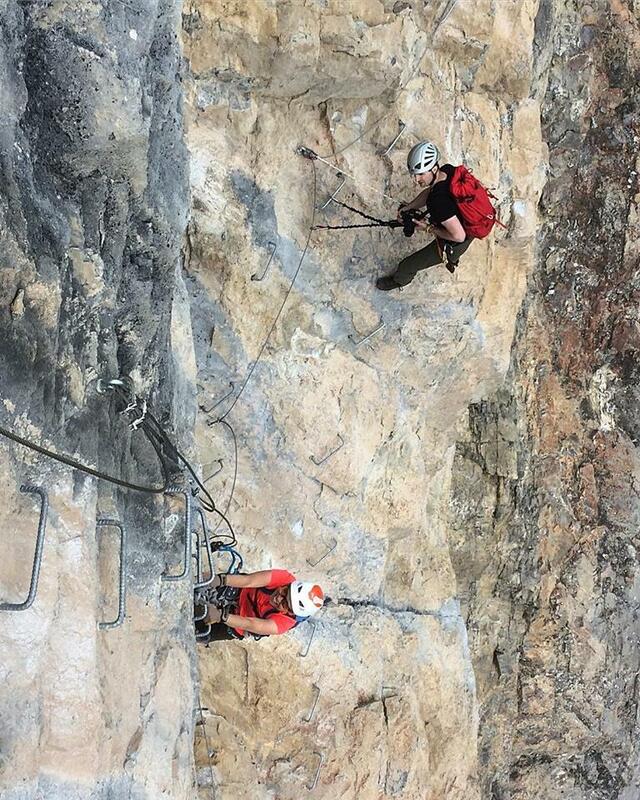 With over 300 rungs on the cliff face, you can expect to spend around two hours climbing on the Via Ferrata. At the summit you will be rewarded with spectacular views before taking a half hour hike back to the car. Beginner and advanced options are available. The beginner experience requires a moderate level of fitness and no prior climbing experience, the advanced option is suitable for those who have some prior via ferrata or climbing experience. The advanced route is physical and similar to 5.9 gym climbing. This a full day experience which includes a drive and sightseeing up the famous Icefields Parkway. See the sights and satisfy your need for adventure with PeakStratagems Via Ferrata experience.